Ovi recently unleashed the latest HD and enhanced games in Ovi Store for your Nokia N8 and other S^3. Currently you can download Galaxy on Fire, Need for Speed Shift and Angry Birds Lite for free. Yes, all for free. And today they are introducing the newest batch of games in Ovi Store which you will see in the short video preview. These includes all latest Gameloft’s games they are Avatar by James Cameron, GT Racing: Motor Academy, Guitar Rock Tour 2 and Asphalt 5. Download Latest Angry Birds Season: Wreck The Halls here. If only we are allowed to pay for apps here in the phil, im gonna get the full angry birds..
do you have plant vs zombies for n8? hos did u download angry birds and other full versions?..for free.or paid..
amigo, can you tell me where that “somewhere” is? i also wanna get the full version of angry birds for my N8. but how man,plz. may you tell what to write si that we can have also. n8 fan club has it all!! 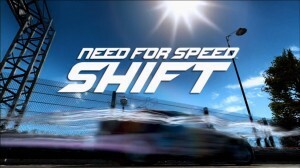 hi guys any one can give me need for speed shift games for my c7…download link pls for rapidshare..
NFS is free in Ovi Store mate. hey dude get me the games for my C7…. why are’ there to C7’…. vikhyat001@yahoo.com .. contact me here.. i wil give you free 10-12 full versions unlocked game :)..
hey hw r u? will u pls sen me the url for those sites??? hi, kindly send me all those full versions. . pls. . .
hey!I want those games for my C7 too. my id is as.anurag.rocks@gmail.com. how the download for my n8? I FORMAT MY N8 TWO TIME CAN I RECOVER THE LOST DATA? Did you backed up in your memory? Or sync from Ovi Suite? If not then you cannot recover it. But next time I recommend that you sync and back up. Use Nokia Ovi Suite for that. ilike to download nokia e7 hd game………………..
hai frnds help me…how to update symbian belli os on my c7……please help me…….natchij@gmail:disqus .com this my id pls help me…. can help me finding games for my nokia n8? try some new free app and games to upload… its all updated.. new nokia suit no compare with andriod. really nokia is hoplss. HEY EVERYONE,I HAVE GOT 100DS OF REQUESTS FOR GAMESFOR C7 N N8 nd I GAVE TO ALL OF THEM, PLEASE DIRECT CONTACT ME ON MY EMAIL ONLY. IF U ARE POSTING YOUR COMMENT HERE IN MY REPLY FOR GAMES, IT IS NOT GIVING ME ANY NOTIFICATION OF YOUR REPLY ON MY EMAIL. SO those who needs games, pleaSE contact me direct on email.